When we celebrate the 4th of July I like to make our food a little more festive. That’s what I’ve done with this blondies recipe. They are simple to make and they turn out so delicious. 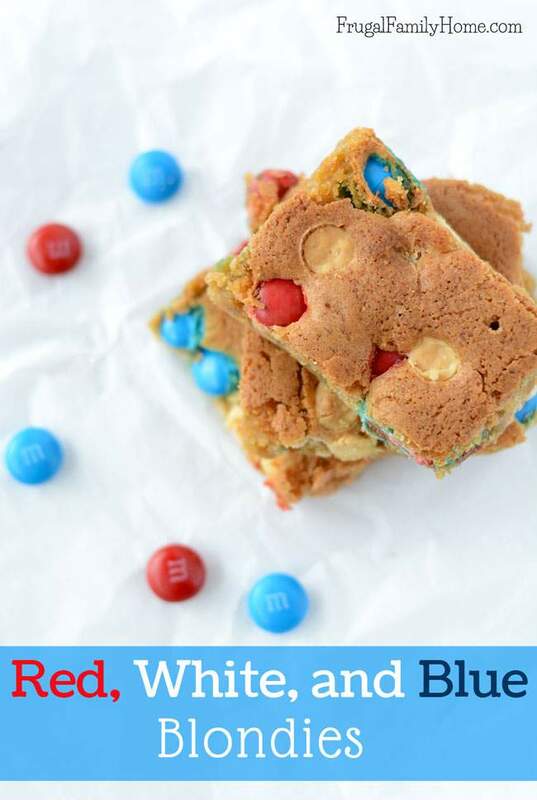 The Red, White, and Blue Blondies didn’t last long around our house and I’m sure if you bring these patriotic blondies to a 4th of July celebration, they’ll be gone in a flash. 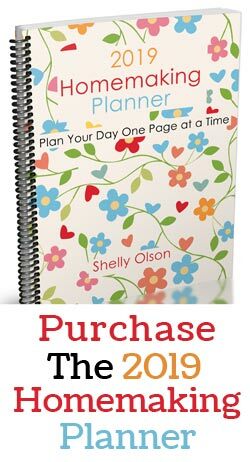 Some of the links in this post are my affiliate links. Read my disclosure policy for more information. 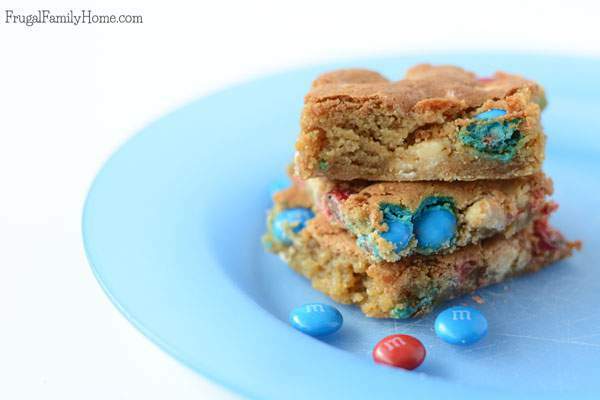 To make the blondies a little more festive, I made up a batch of blondies and instead of sprinkling them with chocolate chips before baking, I added blue and red M&Ms. Here’s the printable recipe for you. In a pan heat the butter and brown sugar over medium heat to until incorporated well and the sugar starts of dissolve. Stirring constantly. Remove from heat and let cool slightly if needed. Stir in the eggs and vanilla. Add the flour, baking powder, and baking soda. Mix well. Spread mixture into a greased 9 by 13-inch pan. Sprinkle the M&Ms on top. Bake in a 350-degree oven for 30 minutes or until done. Cool slightly, then cut into bars while warm. You might be wondering where I found the red and blue M&Ms, well I’m sure you could find a holiday package of them at the store, or you can pick them up at Amazon. I sorted them out of a regular large bag of M&Ms, but if you also wanted the white M&Ms, instead of using the white chips, you can get them at Amazon. Making blondies is a little different than making brownies. With brownies I use oil but in blondies to get that yummy molasses flavor you need to use brown sugar and butter or margarine. I usually heat the brown sugar and the butter together on the stove top then cool it a little before adding eggs. But you could melt the butter in the microwave and then add the sugar. You want to make sure to get the brown sugar incorporated well with the butter before adding the rest of the ingredients. Another difference between brownies and blondies is when you put the mix-ins in. Instead of stirring in the chocolate chips or in this case M&Ms into the batter, you sprinkle them on top of the batter before baking. 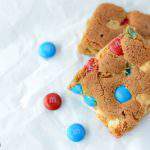 They sink in a little making them the perfect combination of chewy molasses tasting blondie with bursts of chocolate embedded in them. 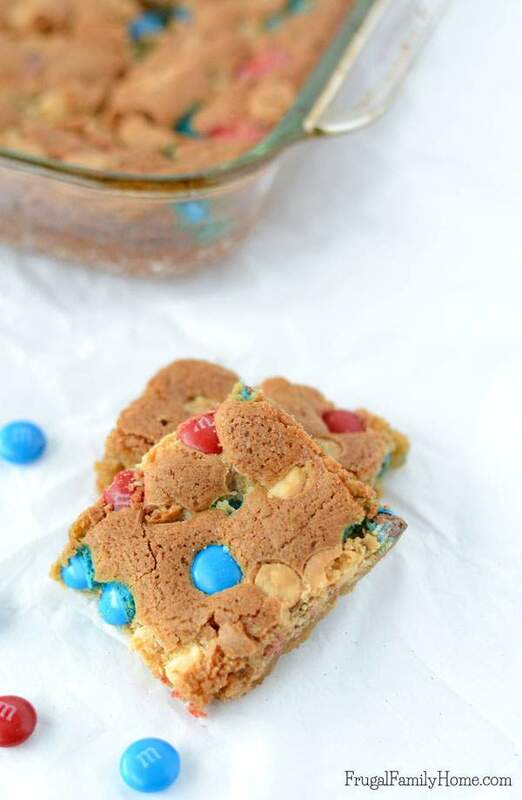 If you are looking for a simple dessert to serve on 4th of July I know you can’t go wrong with these Red, White, and Blue Blondies. They are quick to make but so delicious. The perfect sweet treat for your next barbecue. 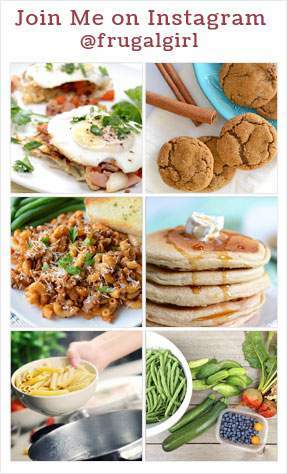 Click here to find more easy and delicious recipes. Thanks Sandra, they were really delicious. 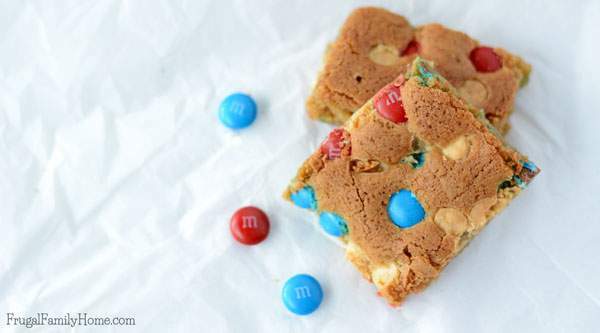 My family would totally devour these blondies! I love how festive they look for the 4th of July too 🙂 Thanks for sharing this great homemade recipe!